SKS Bottle offers a large variety of beverage bottles in both glass and plastic. 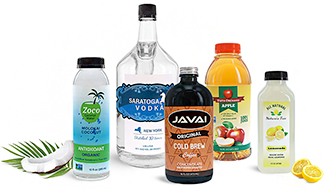 Glass beverage bottles are available in a range of shapes and sizes to house small samples, large serving sizes, and everything in between. SKS has a variety of plastic and glass drink bottles for health and wellness blends, like detox mixes and healthy smoothies. Click below to shop this extensive product line. 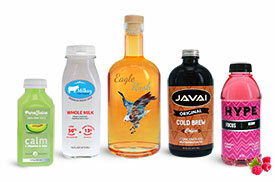 Choose from glass and plastic beverage bottles for all your drink packaging needs.